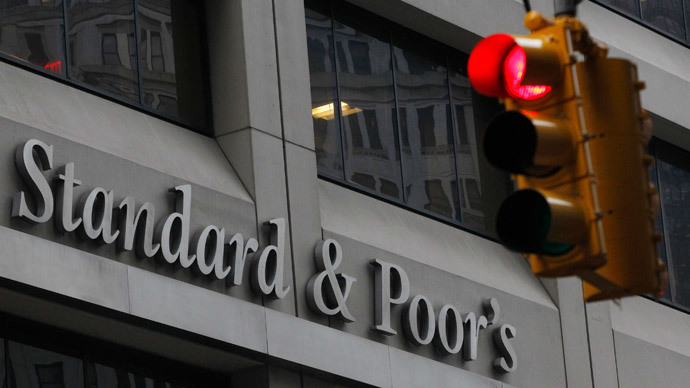 International ratings agency Standard & Poor’s has downgraded the long-term foreign currency ratings of Russian Railways, Gazprom, VTB and Russia’s other big companies and banks to the level of being right under the non-investment line. Gazprom, Gazprom Neft, Rosneft, Novatek and Russian Railways saw their ratings downgraded to BB+ from BBB- with negative outlook, S&P said in statement on Wednesday. The move also included a batch of banks – VTB, Gazprombank, Raiffeisen Bank, UniCredit Bank, Alfa Bank among them. Their rating was cut to BB+. This move follows a downgrade of Russia’s sovereign ratings by the agency on January 26. VTB said that its downgrade to non-investment status will not affect the bank’s business activities. “Our current liabilities have no covenants on the level or availability of credit ratings. Accordingly, the downgrade won’t lead to deterioration in liquidity,” the bank’s representatives told Russia’s TASS news agency. VTB stressed that it remains a systemically important financial institution in Russia, which is being supported by the government. On Wednesday, the head of Dagong, one of China’s biggest debt-rating companies, called the downgrade of Russia’s credit rating by US-based Standard & Poor’s a “politically motivated” decision. “We believe that the downgrades of Russia’s rating by the Big Three rating agencies [Standard & Poor's (S&P), Fitch and Moody's] … are politically motivated,” Guan Jianzhong, president of Dagong rating agency said in an interview with TASS.